With her husband by her side, Stella passed away on the morning of January 1, 2017. This was exactly 11 days short of a 60th wedding anniversary for Stella and David. Born in Bexhill, Sussex, England, Stella was raised in Bexhill and trained as a nurse at the Bexhill Hospital. She worked for a few years at the Royal East Sussex Hospital in Hastings where she met the man she fell in love with. In 1957 they married, had their first daughter (Penelope Ann) and immigrated to Calgary, Canada. As poor as new immigrants often are, they had a second daughter several years later in Calgary (Karen Ruth) before moving to Edmonton where they purchased several homes over the course of their time there. Their third daughter (Christine Abigail) was born in Edmonton. After David retired, Stella and David moved to Mexico to live there for the next 20 years. They returned to Canada two months prior to Stella passing. While in Canada, Stella continued her work as a nurse at the Calgary General and then worked as a driving instructor with the AMA, and as administrative support with the U of A Stores while living in Edmonton. In Mexico, Stella volunteered with the LCS in Ajijic, Mexico and sewed prosthetic bras for poor Mexican ladies. There was hardly a person she met who wasn’t touched by her generocity and willingness to go the extra mile to help. 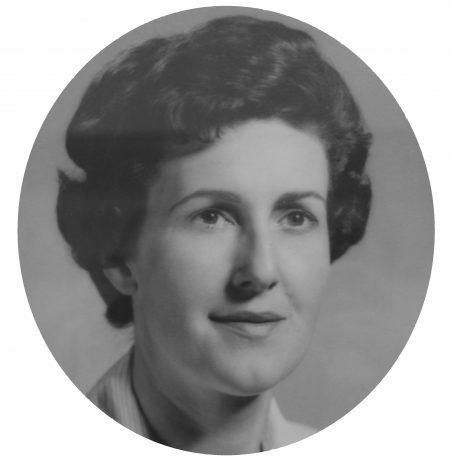 Stella was predeceased by her mother & step father, Dorothy & Spencer Barnes and her elder brother, Peter. She will be lovingly remembered by her six grandchildren, Michael, Deirdrie, Matthew, Alexis, Joshua and Sarah and two sons in law, Peter and Edward, her brothers, Martin and Paul and sisters in law, Jean and Jenny. Stella will be fondly remembered for her outstanding gifts of baking, cooking, sewing, knitting (many sweaters and quilts for her grandchildren.) She was resourceful and a strong, faithful supporter both in words and actions for her husband, daughters and grandchildren. Stella loved to travel, read historical fiction novels, play card games and jointly complete crossword puzzles with David. Special thanks are due to the Home Care nurses in Cochrane, and the tremendous caring staff of the Dulcina Hospice at St. Marguerite Manor.